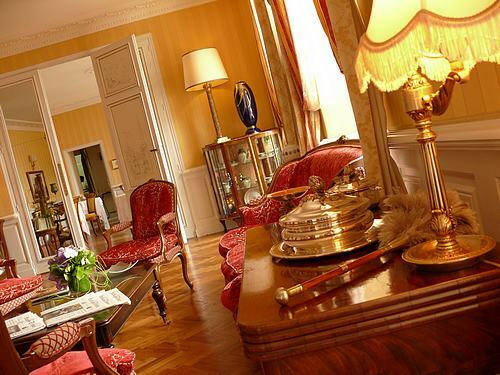 An executive committee in a Chateau Hotel or a privatised castle of the Loire Valley will guarantee not only the necessary confidentiality, but also the peace of mind of the participants. We will be able to recommend exclusive venues for your corporate meetings or incentives that will favour creativity and communication in high quality places whilst being cost efficient. Besides the working events, we also offer team building activities that allow for casual dialogue, while discovering our region's heritage: oenology, gastronomy, history and culture, vineyards, and gastronomy. You could also choose to relax and stroll through our beautiful region, or enjoy some sport around the Loire or on our golf courses. All you need to make business and leisure comes together. Coming to the Loire Valley, thanks to its proximity with Paris or Nantes, will allows you to offer a change of scenery to your employees, while staying within your budget and respecting your time constraints.